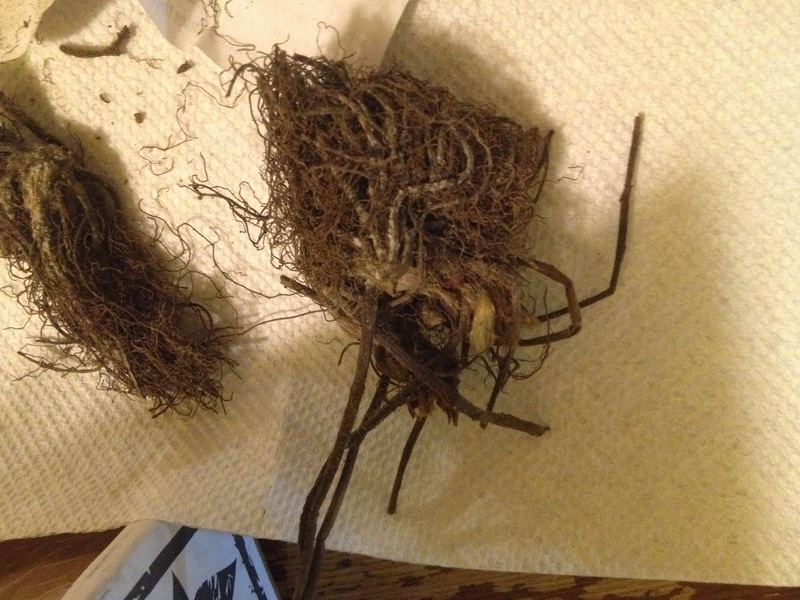 Well, as I prognosticated, only one of the clumps of twigs and dirt that Aerogrow sent over managed to grow. "Dormant State" indeed! Although I must say, the one plant that DID grow is growing very well. To the Aerogrow lady's credit, she did send over a new set of strawberry crowns. I got the package in the mail about two weeks after she said she'd send it. 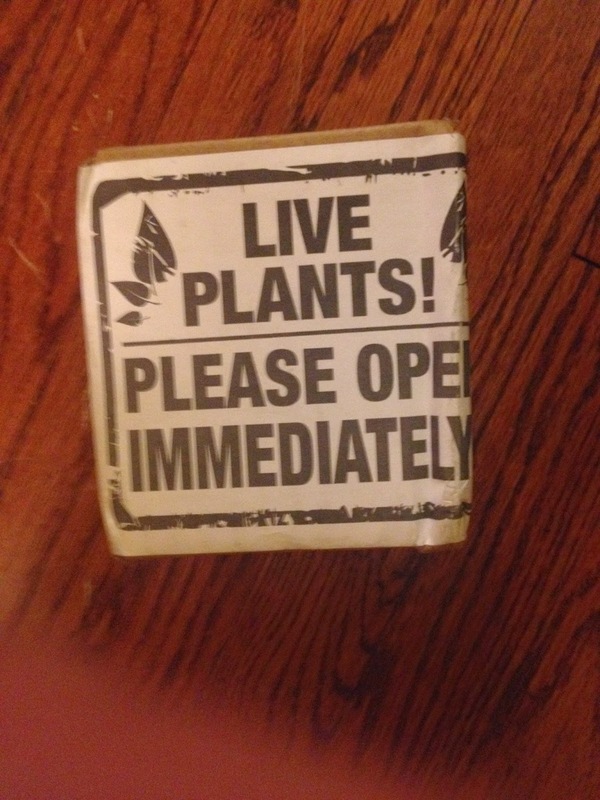 I like the fact that it says "LIVE PLANTS! PLEASE OPEN IMMEDIATELY", but I still question the decision of Aerogarden to send it via UPS SmartPost, a service that saves money by deliberately holding packages in a warehouse for days before sending it to you. The first thing I did was to remove the strawberry crowns that did not grow. 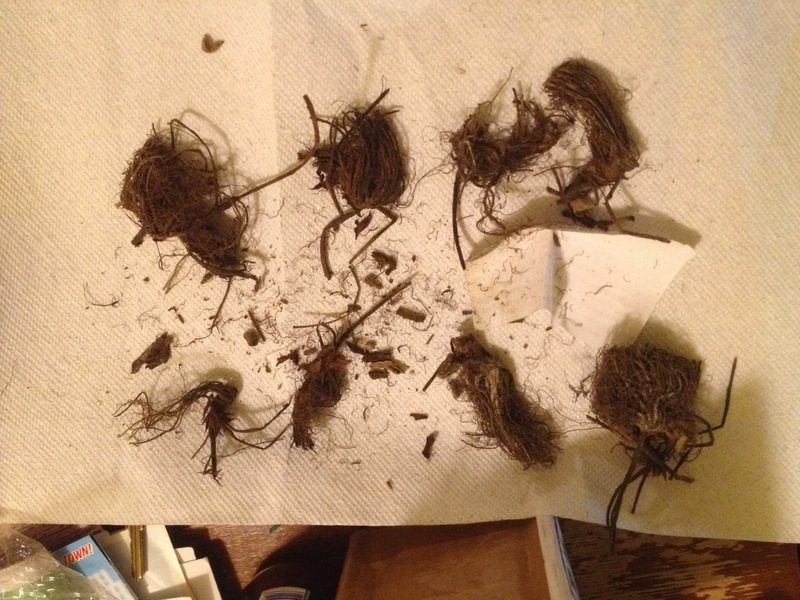 They were a muddy mess with absolutely no indication that they'd even tried to sprout. Taking the new "crowns" out of the box, they didn't look much better than the ones I was sent before. Although this time, instead of crumbling when I touched them and seeing powdery white mold on it, I did see small indications of green. Still not quite what they picture on their Web site, but if it grows I won't mind. And so, I followed the instructions again and dug into the Coco Chunk to plant the strawberry plants. They say that 10 are supposed to come in a package, but after separating them as best as I could, I found maybe three decent sized plants, and the rest were twigs. We'll see how many grow this time. 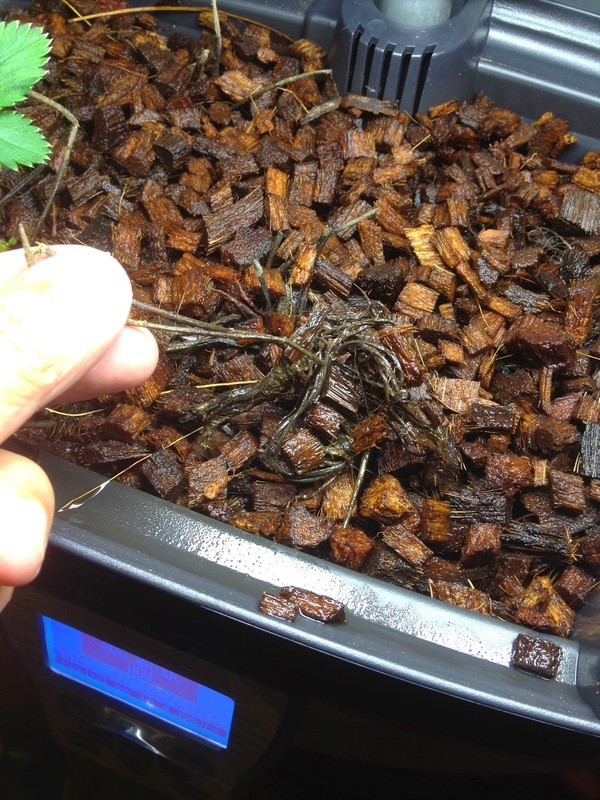 Again, the proper way to grow them is to plant them root side down into the growing medium and let the Aerogarden water it every hour by filling the tank and draining it. And so now the waiting game starts. Let's see if this new batch grows any better than the old one.